Hey. That bug is known and our devs are working on a fix. Please be patient and enjoy your day. Hey. That issue was resolved. However, your game will probably still crash. Please be patient, we're working on a fix. One year ago, March 19 2018, the little Convoy Control team was merged into the official TMP Staff Team. 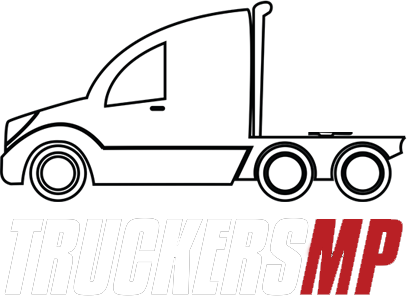 Today is the Birthday of our lovely TruckersMP Event Team! Some of the original Event Team members are still in the team, some transferred to another team and some left (and came back). One last note: Thank you Digital! All the other teams had different Team Leaders. But Digital stayed Manager straight from the start. He is a wonderful manager. I am sure many of the blue team will agree with this. How are you?/Wie geht´s? So spät noch wach? I like the idea. Adding signs would improve the simulation feeling but would require manual map edits whenever SCS updates a specific region. Anyways, I would like to see that and maybe some other sign changes ingame. Hey. I can understand your point. Horn spam is annoying. Especially, if you drive on Europe 2 in a high populated area (Calais, Duisburg, Brussels, ...). However, as many others mentioned already: 5 seconds for a kick is quite strict. I would prefer to mute the players horn automatically after 5 or 10 seconds. This would only affect the other players and not the client. Have a nice day! Hey. Nice suggestion! I can really understand your point with the Calais port. Opening this parking would be better. However, Brest is part of the Vive La France DLC and not available to all players. This could be a downside. Furthermore, why *exactly this one*. There are more large parking places all over the map. Maybe people request to open the others too. I am unsure if this would really improve the game experience. Just keep in mind that we love you. As Ollie said, it’s a bug for SCS Software, but you aren’t supposed to go there anyways lol. Oof. Das erklärt es auch. Ich persönlich habe auch mit ATS angefangen, aber schnell bemerkt das der Multiplayer von ATS einfach nur tot ist... Es spielen nur wenige Leute - das Hauptspiel ist nach wie vor ETS2 . Hey @UAZ-469, Ich würde die einfach mal empfehlen in der Nähe von Rotterdam, Brüssel, Calais und Duisburg zu fahren, wenn du auf Verkehr stehst. Da ist immer viel los! Aber ja, mit Freunden oder einer virtuellen Spedition macht es natürlich mehr Spaß. Did anyone of you attend to the public convoy today? How was your experience? Nice to hear that @BlackSkill!